FC Plummet Line have become the latest club to quit the Haslem-Sheppard Halifax AFL. League fixture secretary David Rattigan said the Halifax town centre pub side had folded on Monday evening. “They won Division Two last year but have struggled for players this season and said they could only rely on eight or nine each week,” he said. Plummet joined the league in 2016-17 and finished sixth in a 12-team third section. 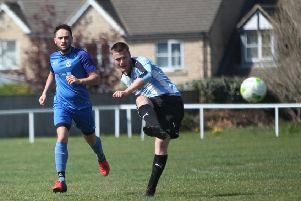 They extend a depressing string of AFL casualties, which started with Ivy House shortly before the start of this season and has been followed by Copley United and Sun Inn Rastrick. The league now has only 34 teams, making a return to a three-division set-up in 2019-2020 appear more likely. Plummet had lost seven matches out of seven in the first division and had played only once in the last six weeks, losing 5-1 to St Columbas. The club’s demise leaves Division One with only eight teams and the remaining sides facing a fixture list of 14 league games. There has been more encouraging news from Holmfield AFC, another team in the first division. Holmfield have also been struggling for players and had only nine for Saturday’s 6-1 defeat to Elland Allstars at Goldfields, Greetland. However, Rattigan said they had played well considering their lack of numbers and had told league officials they expected to have more players available for coming games.